The former St. Joseph's Academy, future home of the Albany Barn. Six years ago Capital Region residents Jeff Mirel and George Kansas decided to help raise money for victims of the tsunami in South Asia. A few weeks later they'd packed 2,000 people into the Palace Theater to see dozens of local artists and musicians, raising nearly $30,000. That successful Rock2Rebuild concert has spawned another effort: the Albany Barn. 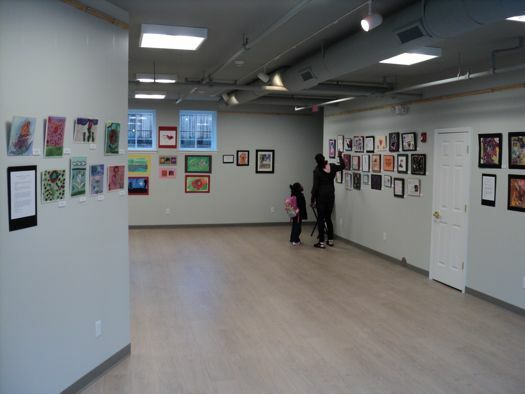 Organizers hope the project will be a creativity incubator that helps provide resources for artists, offer arts programming for the region, create educational opportunities for inner city kids, and acts as a catalyst to revitalize neighborhoods. Putting together the Rock2Rebuild concert gave Jeff Mirel an opportunity to spend a lot of time with local artists and musicians. "We went out and got a sense of what the needs were in the arts community. We learned that at the top of the list was affordable, quality space -- space to rehearse, perform, paint, sculpt, etc.as well as exhibit and perform." The goal of the Albany Barn is to provide affordable live/work space where local artists will be able to create and collaborate -- then harness that creative energy to bring arts programming and education opportunities to inner city youth. "We'll provide work studios, rehearsal suites, a dance studio, a multi-media lab and live/work apartments upstairs. It will all be under one roof, so it also creates a space where artists can collaborate and share." The first phase of the Albany Barn is already up and running in a renovated storefront on North Swan Street. 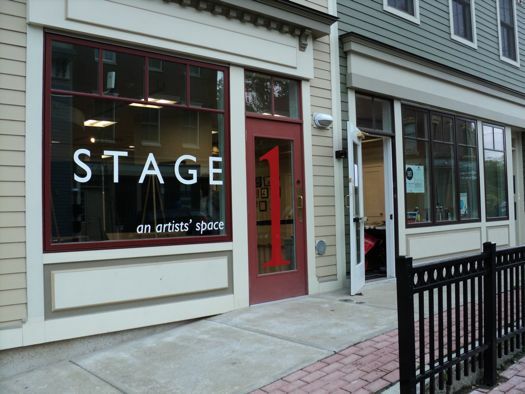 It's called Stage One, (map) and it includes an art gallery and rehearsal/performance space that performers can rent. Stage One was the first 1st Friday venue in Arbor Hill and it's already hosted a few exhibits by young people and established artists. This weekend it will be opening another show -- "Forgive Us Our Trespasses", an urban exploration exhibit featuring the photography of Sebastien Barre, Darren Ketchum, and Paul Gallo. The Albany Barn org also helped bring the first Townsend Park stage to Larkfest and has held a series of concerts by local musicians at Albany Medical Center's children's hospital. Phase two of the project -- The Barn/Academy Lofts -- is expected to break ground before the end of the year. 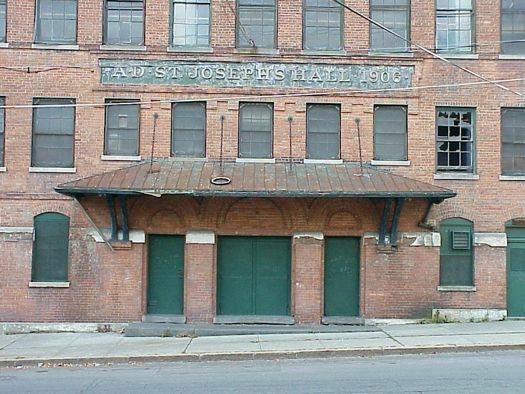 The plan is to rehab the old St. Joseph's Hall in Arbor Hill. The top floor of the 42,000-square-foot building is expected to contain 23 loft-style studio and one-bedroom apartments that will be affordable housing for artists. The rents have yet to be deterimined, but Mirel says right now they're considering starting at somewhere around $500 a month. The lower floors will include studio, rehearsal and performance spaces. Among other things, will host regular open studio events and even let the public view the otherwise private live/work apartments upstairs. The goal of the barn is to not only get the artists who live and work there involved but to provide four walls and a roof for other arts groups to do their programing out of the space. "We want to put the structure back in service of the community with a sustainable business model. We're really looking to have a space that supports itself through the revenue that comes in the door, not something where we have to go out and fundraise every year to support the facility." The inspiration for the Albany Barn came in part from As220, an arts incubator in Providence, Rhode Island that has been operating for about 20 years. Mirel, who is Director of Accounts and Marketing for Tech Valley Communications, visted As220 years ago when he was managing a band (later he worked for Epic Records and for a boutique music management firm). As220 is where he first became interested in the concept of creative place making, social enterprise and neighborhood revitalization. "We're not reinventing the wheel here. We're taking a concept in arts place-making that has worked in many other cities across the country and re-sizing it for an Albany neighborhood." The "ah-ha" moment for the Albany Barn stemmed the Rock2Rebuild concert. "So many organizations helped out with that first concert -- the city donated The Palace, the stagehands union donated labor, the artists donated time and talent. 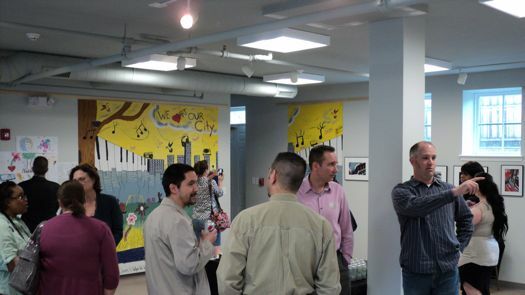 We were able to leverage so much volunteer effort for a good cause while raising the visibility of those local artists. 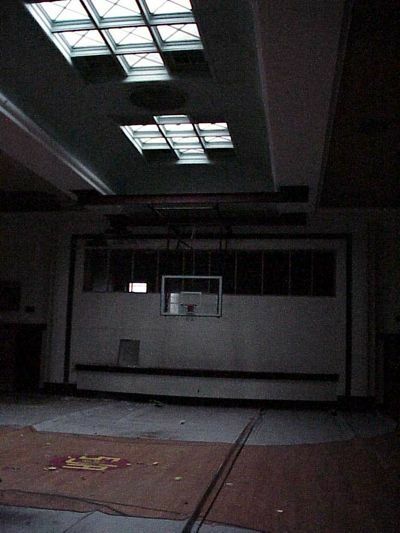 Over a couple of years as I got more and more familiar with the city, I realized that there are so many abandoned buildings here, many concentrated in Arbor Hill -- and all the while, in the back of my head was As220." After a second successful Rock2Rebuild benefit for Hurricane Katrina victims in 2005, Mirel started developing those partnerships and working on the Albany Barn in earnest. Mirel is big on partnerships. In fact, that's kind of how the Albany Barn got its name. "There were just so many people and organizations contributing to making those early Rock2Rebuild shows happen, it felt like a big barn raising." The Barn/Academy Lofts project is a partnership between Albany Barn, the City and the Albany Housing Authority. The Barn is a partnership between the board, local businesses, the city and the Albany Housing Authority. "The city has been incredibly supportive and the Albany Housing Authority brings a lot of experience and knowledge about sustainable development to the table." Together they've raised most of the $11 million necessary to rehab St. Joseph's Academy. About $4 million comes from an Empire State Restore New York development grant and more from tax credits and various other sources of funding. The board still needs to raise an additional $1 million to pay for the stuff that isn't nailed down -- computers, studio equipment, lighting, etc -- and to establish an initial operating budget. They're hosting a fundraiser at the Washington Park Lakehouse on October 14, a cocktail party and pop-up exhibition with a lighting and photography installation. Meanwhile, the space on North Swan Street is currently available for rental on a sliding fee scale, and the folks behind the barn are hoping to bring more people into the North Swan neighborhood for events. "For a while, North Swan Street was known for one kind of commerce," says Mirel, "The illicit kind. 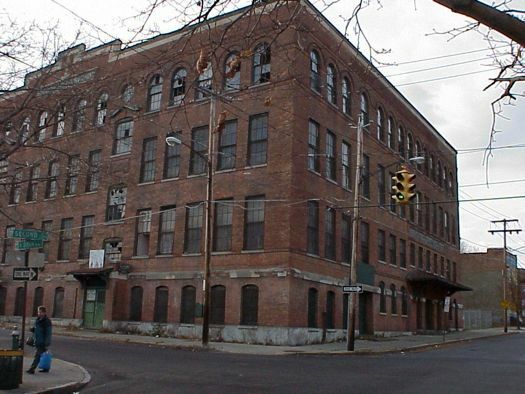 Through the efforts of the city, the police, the Albany Housing Authority and other neighborhood stakeholders, that element has been pushed back. Now there are seven renovated storefronts. The city and United Way have raised funding for a public park across the street from St. Joseph's. It's an opportunity to bring back the vibrancy of the street, and hopefully a place where businesses that serve the neighborhood will come." Cities like Albany used to be filled with various Halls and Ballrooms- I wonder what's become of them. Driving through Lansingburg I spied a semi-derelict 19th C. building with an ancient sign reading so-and so's Hall...must have had quite a past. What a great community project to support. I hope to hear a lot more in the next few months. Darren, Paul and myself set up our show last night at Stage 1, it's a nice space with plenty of room for 20 or 30 large prints. Thanks to Craig A. Shufelt for the help. As you mentioned above, the North Swan Street neighborhood is changing for the best and we would love for more people to come visit. This venue will be accessible by trolley, they added a new stop. We are stop 23 on this PDFmap and this is a fun little trip anyway. Love it! AS220 in providence really changed the face of the city. It's great to see projects in the same spirit here. absolutely love it.... ditto Jason above. Hoping to check this out on tonight's 1st Friday Gallery ride. This is really interesting, and I'm really happy to see that George and Jeff are aware that United Way is in the process of working with the city to build the N. Swan Street Park across the street (our next work phase will be this fall). There's a lot of positive growth in that area, from the park to Arbor Park Child Care on Second Street, which is the only licensed infant child-care center in Arbor Hill, to the church being built across the street. When I was working on the park with United Way last fall, so many neighbors pitched in to help clear the lot, take down old fences and prepare the site for the park construction. I loved seeing how supportive neighborhood residents are of these projects, and hearing the ways in which they're all also working to make the neighborhood better and stronger. It's not the kind of stuff that can be easily packaged into news stories, but it IS inspiring. Thank you, Jeff and George, for being part of the solution! Fantastic! I know a painter who lives in a like spot in NOLA and is loving having space to paint that's not his kitchen. A great addition to the n'hood and it's wonderful to see the creative folks in this area doing big big things! I hope my wife and I will be able to attend the Tom Chapin Concert near the end of December. How close to the Palace Theatre is the Barn and will we be parking on the street? What's the seating capacity of the theatre?